Junkfood Science: Who are the real winners and losers when young people are taught to eat to win? Who are the real winners and losers when young people are taught to eat to win? For children and teen athletes, what their coaches say is gospel. Most parents probably trust that the information being given their impressionable children is credible and in their best interests. It would be unthinkable that young people would be used to sell products or being put at risk for eating disorders. The fact that eating disorders and spurious food beliefs are widespread among teachers and coaches isn't well known among the public. As previously covered, when child nutrition and eating disorder experts at the University of Sydney in Australia, examined the knowledge, beliefs and attitudes among graduating physical education and home economics teachers, astoundingly, they found nearly 9 out of 10 were giving teens unsound to dangerous information about food, eating practices, fad diets and weight control. Most demonstrated a lack of nutrition education about nutritional needs for teens, and there was a high prevalence of eating disorders, and even dangerous weight management practices, admitted among the health and PE teachers, themselves. Branner promotes a whole foods diet abundant in raw fruits and vegetables (nine to 13 each day), whole grains and protein-packed foods such as hummus and peanut butter... She decided to write a book, "The Care and Feeding of a Dancer"... Branner also wrote a guide on healthy eating for athletes and, most recently, for soccer players. 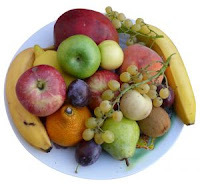 A common pop belief is that antioxidant supplements, and lots of antioxidant-rich fruits and vegetables, can avert the damage of free radicals and prevent just about every chronic disease of aging. Countless people have come to believe that if they’re not consuming vast amounts of flavonoids and produce in their diet every day, then they’re not eating right and not doing everything they need to stay healthy. As the Charlotte Observer article went on to reveal, giving girls unsound nutritional and health information and scaring them about bad foods, fats and sugars was presented as teaching them “healthy eating.” It was seen as acceptable since it wasn’t specifically stated to be about weight. “Absent from Branner’s message is emphasis on weight,” the article said, while noting that eating disorders are still prevalent in dance academies. But no mention was made of the added nutritional needs of teen athletes, that over-exercising can be a symptom of an eating disorder, or the risks for female athlete triad, also called anorexia athletica, among young dancers, especially among those with disordered, restrictive eating, obsession with “healthy eating” and food fears. The dancers Branner has trained say they don't diet — they just eat healthfully and are able to maintain a natural [thin] weight. They do let themselves splurge on occasion... a Weir dancer treats herself to ice cream every other week... Being healthy has allowed them to handle an intense lifestyle that includes 15 to 20 hours of dance practice a week, plus school and homework. Sometimes their friends who don't dance try to get them to eat junk food, but the dancers' peer pressure to eat well is stronger, they say. "We bully each other. 'If you're getting a soda, you're leaving the table,'" said Taylor. "When we have slumber parties, you don't find junk food." The article didn’t disclose much information about Toni Branner, who is having such an influence on these young women. According to her website, she’s an exercise physiology and directs the University of North Caroline Employee Health and Fitness Center. Her speaking and consulting business, Fitness Concepts, offers talks on anti-aging and living to 100 years, wellness, and eating for athletic performance. Her newsletter, “Care and Feeding of a Dancer” is distributed to her dance students and customers. Each one devotes at least half the space to emphasizing the purported need for exorbitant amounts of whole fruits and vegetables, and health claims surrounding antioxidants. There’s a reason for that. They are advertisements for Juice Plus+ and a sales tool she uses to sell the products. P.S. 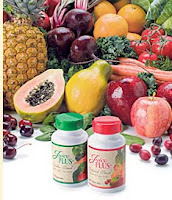 If you have children between the ages of 6 and 15 they are eligible to take Juice Plus+ for free as a part of the Children’s Research Foundation. Call me for details. 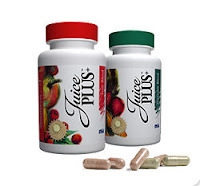 The Juice Plus company webpage she links to, supposedly providing all of that “real scientific” [sic] offers a string of papers — but not a single one is a randomized, placebo-controlled clinical trial showing a benefit for actual health outcomes or in reducing premature deaths. The clinical research claims to show five benefits of their products, all vague, meaningless effects such as supports a healthy immune system, positive effects on indicators of cardiovascular wellness, helps protect DNA, reduces oxidative stress, and that they contain bioavailable phytonutrients. Far more disturbing is using young girls, scaring them with nonsense, setting them up for lifetimes of unsound fears of food and disordered eating, and putting them at risk for devastating health problems. © Sandy Szwarc. All rights reserved.